Earlier this summer, Dad said he wanted to read a book from each of my bookshelves as a kind of tour through my literary interests. We started with the “Road Trip” shelf, and I chose the classic Newbery Award winner A Wrinkle in Time by Madeline L’Engle. Yeah, Madeline L’Engle has the balls to start her book that way. Meg Murry doesn’t quite fit in, and her younger brother Charles Wallace is a child prodigy who doesn’t talk to most people. Between the two of them, they don’t get out much. They live with their brilliant scientist mother and their popular twin brothers, but their father has mysteriously vanished while doing his job. Charles Wallace might be more social than Meg realizes, though, because he’s made friends with some dotty ladies that live in the woods. One day, they whisk Meg, CW, and Calvin (a guy from school) through a wormhole with the intent of stopping a dark force from taking over the universe. Meg must show her intelligence and courage as she battles the treacherous IT and tries to keep her baby brother from succumbing to his darker nature. Chances are you read this in middle school. I know I did, and I drew a picture of the Happy Medium for reasons I cannot entirely remember. It’s a favorite of librarians and regarded as one of the best books for children ever written. I finished A Wrinkle in Time today. Here are my thoughts. Basically a good story. The first half was slow but the second half of the book picked up in the action department. I think the place called Camazotz was a take off on “Camelot”, where everything was supposedly peaceful and wonderful. I also thought the ending was a little weak in how easy it was for Meg to overcome IT with just a little love. IT appeared to be much more formidable than that. As a side note, I think you can write as well as Ms Madeline and it would be fun to see you take on a magical story topic to challenge your imagination. So there you have it– Dad’s not convinced that Love Conquering All is a compelling ending, and he thinks I’m good enough to take on Madeline L’Engle. While I’m obviously flattered my father thinks so highly of my writing skills, I wonder if love might be clouding his judgement. Just a little bit. I spoke with him on the phone tonight about the book and he basically reiterated the same points, and his opinion seems to come down to the ending. He thought it was pretty weak sauce that Meg just had to say “I Love You” and everything was cool. I argued that the point is that love is the most powerful force in the universe. Dad said if love was enough, it doesn’t explain why their father was trapped for so long because it’s not like he didn’t love his family. Dad makes a fair point. He also said he didn’t get the acclaim and he thought Harry Potter was miles better. I could almost hear my mother in the background wincing. 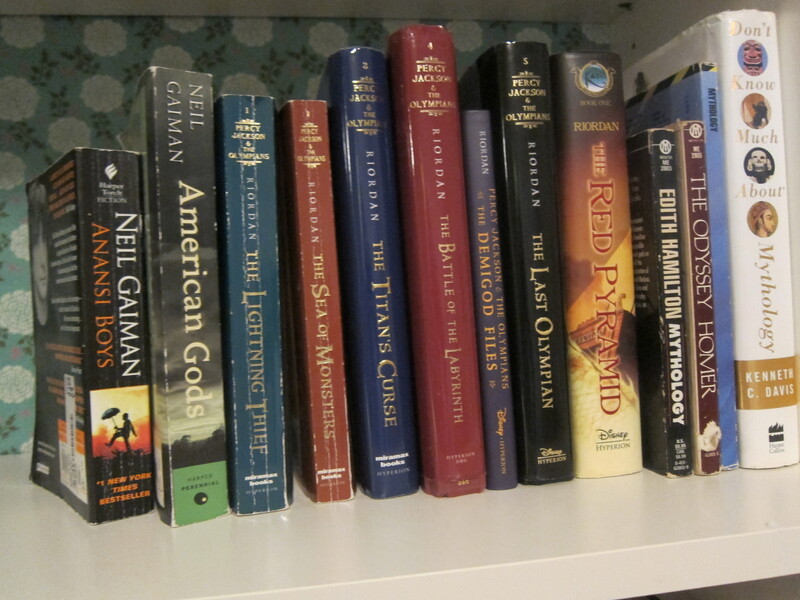 Next time: Dad will have to Think Greek on my mythology shelf. We’ll see how he does with Percy Jackson in The Lightning Thief. This post will be cross-posted on my book blog, The Bibliotherapist. 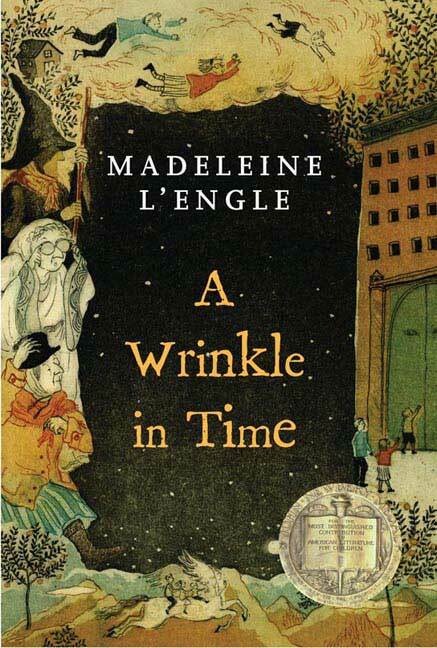 Posted on July 15, 2012, in Books and tagged a wrinkle in time, dad, daddy daughter book club, madeline l'engle. Bookmark the permalink. Leave a comment.